For the chocoholics out there, there isn’t a much better dessert than Chocolate Pots de Creme (unless you mainline chocolate directly). The espresso powder deepens the flavor of the chocolate to make it even more intense and flavorful. 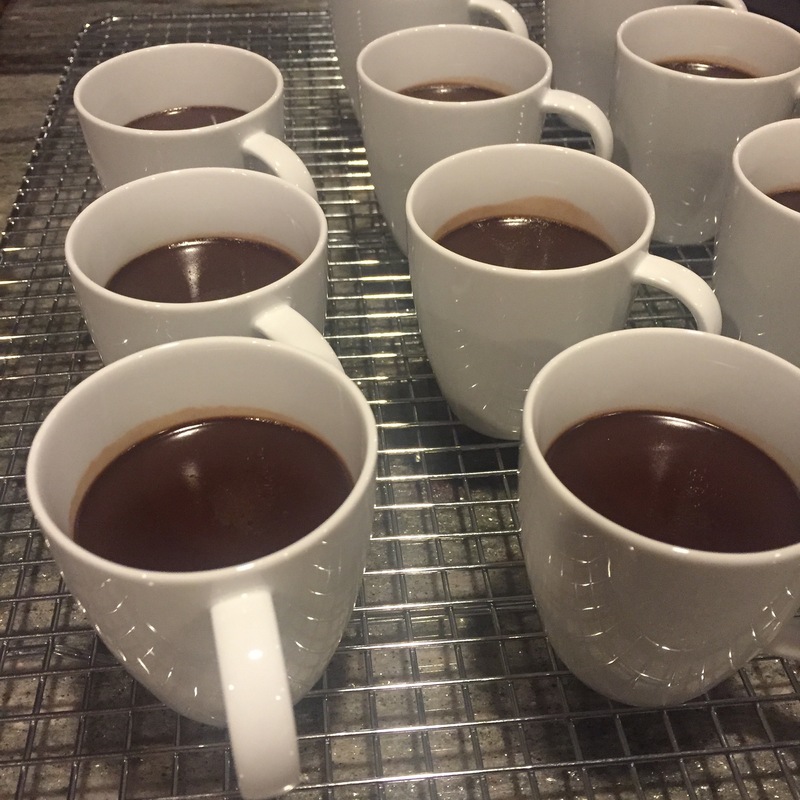 You can use pots de creme cups, but I just use espresso cups. The portions are a little smaller than the pots de creme cups, but that just means you can have two! Here’s the photo of the finished product, which you can garnish with a dollop of whipped cream for a simple but elegant dessert.